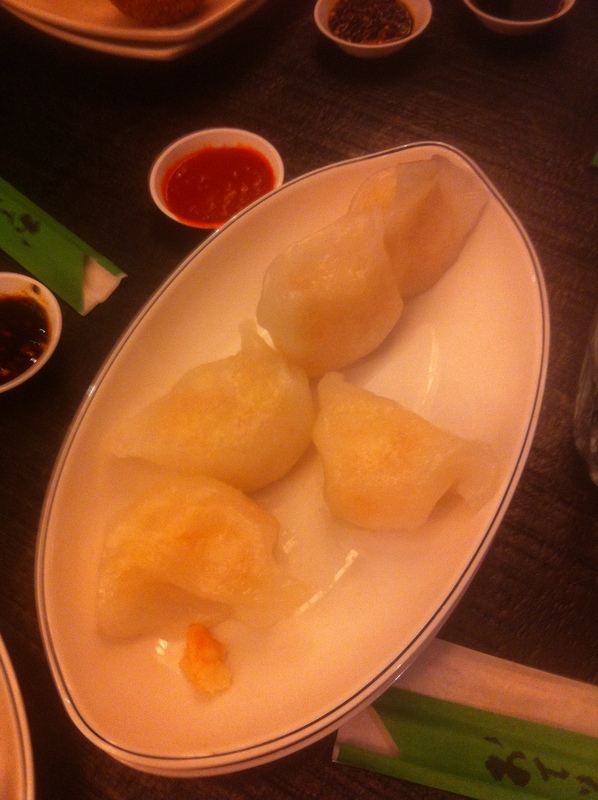 The futsal girls (C, M, N & T) and I went to Dumplings Plus for a quick dinner because we wanted to check out the place and we were craving dumplings for a while. The restaurant is constantly busy and full so it’s sometimes difficult to find a seat but we were lucky enough to spot one inside. It’s quite hectic inside as all the tables are clustered quite closely together. The workers had really cute uniforms, wearing striped dress shirts with a bow tie and a bandana (for girls)/cap (for guys). 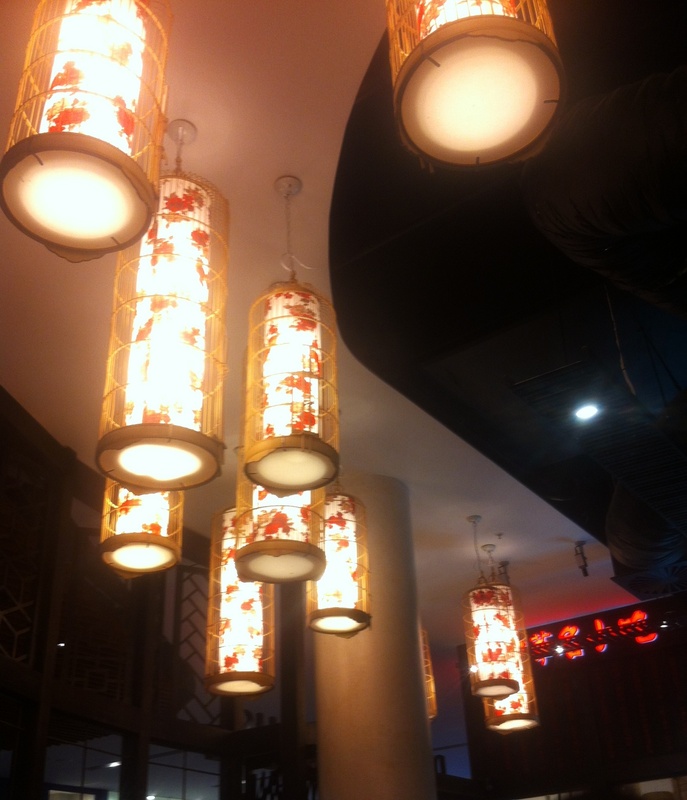 I also liked the lanterns and its flower details. There wasn’t much of a service because the workers more focused on refilling the chopsticks at every table and quickly getting the food out, so everything was very fast-paced. Customers have to line up at the counter to order their food and the long lines never seem to cease, if anything it grows even longer. Despite this, ordering was faster than I expected. 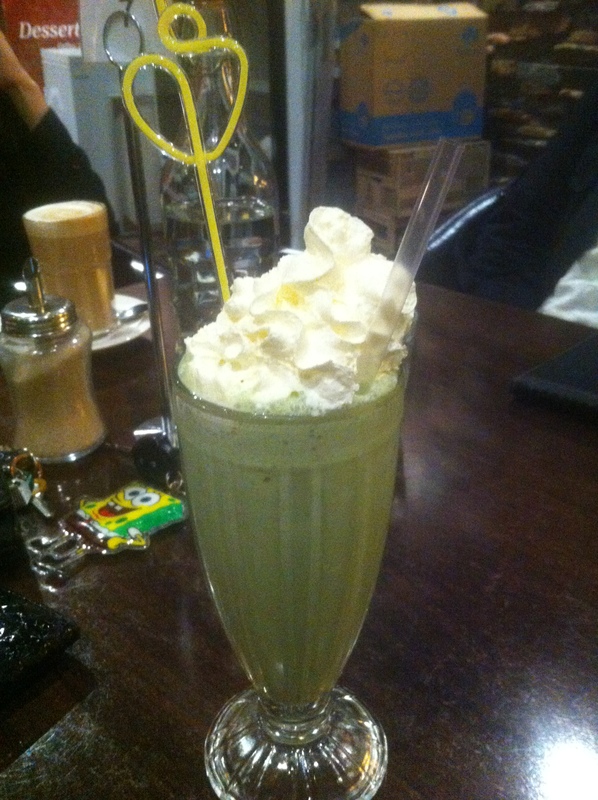 My friends were the ones who went up and they said the manager was quite friendly and tried to crack jokes with them. There’s also a little station where customers help themselves to their own sauces and water, so much of it is self-served. 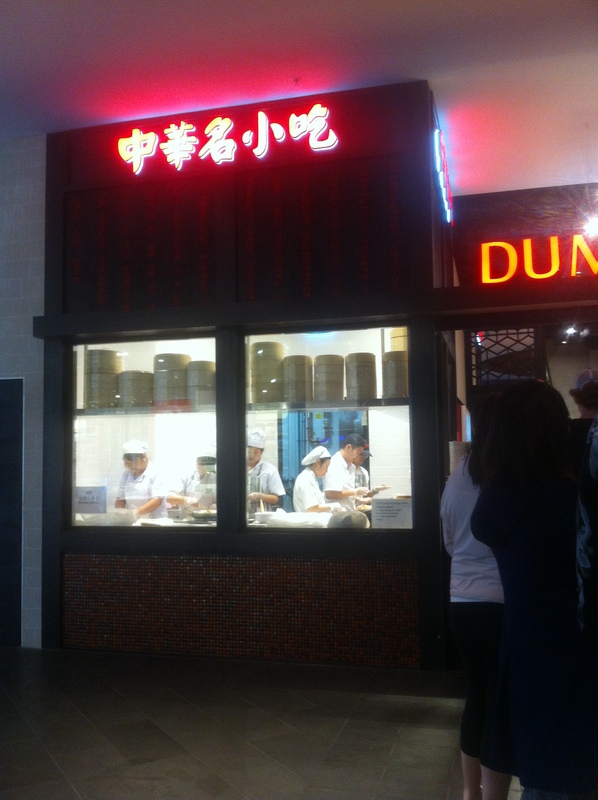 I also like how there’s a display window where you can see how the dumplings are made. 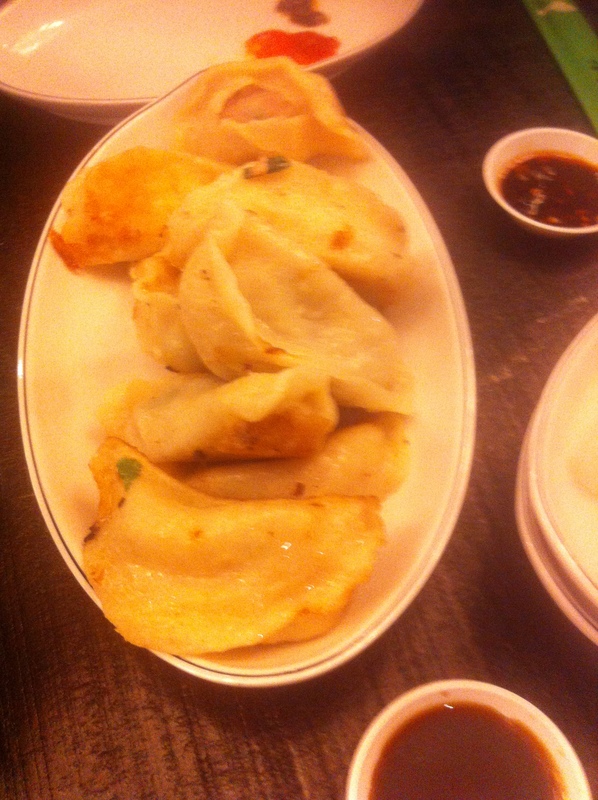 Pan-fried Handmade Pork Dumplings (10 pieces for $11.80) – was not as great as I had expected. The skin was very thick and therefore, the bottom was not as crispy as it should be. It tasted quite doughy. I thought the filling was nice though, the pork mince had a touch of pink inside and the filling portion was substantial. 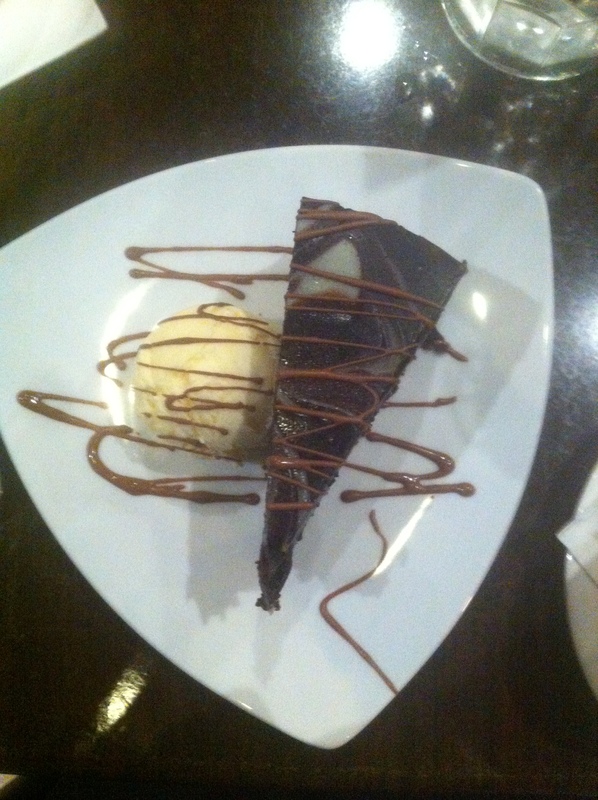 In my previous post, I have mentioned Desserts By Night’s lazy service, and this time proved no different. Going back just reaffirmed my impressions of the restaurant during my first visit. 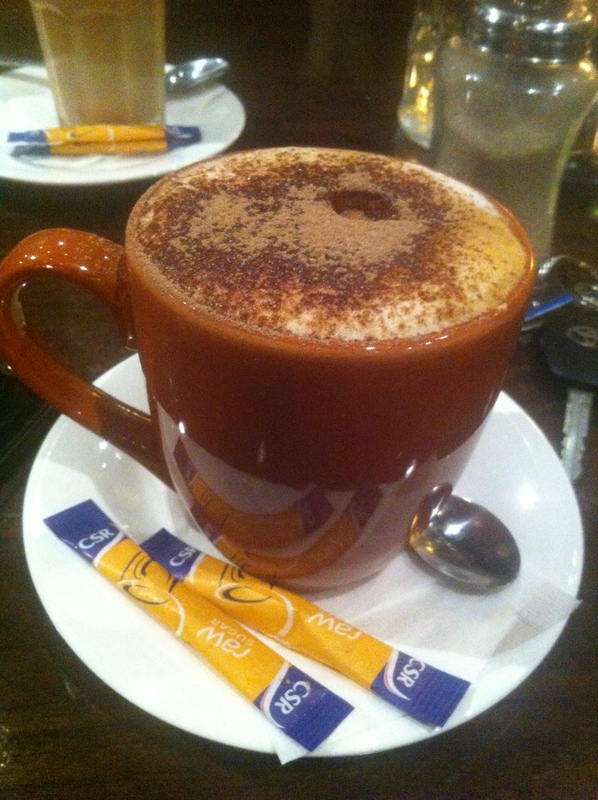 When we walked in, there was no waiter in sight so we just found a table and sat ourselves down. The food was overpriced for its mediocre quality, and overall, the restaurant just doesn’t warrant for a return. 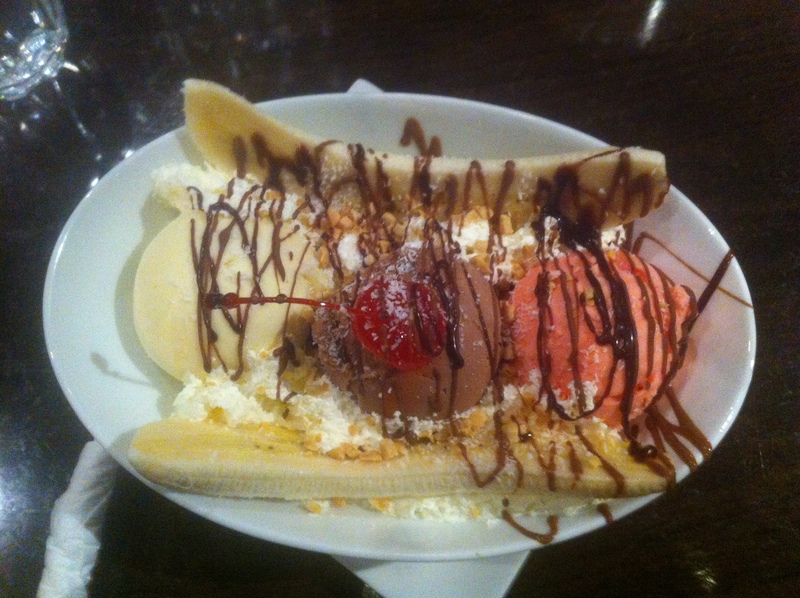 Banana Split ($12.95) – vanilla, chocolate and strawberry ice-cream, served with whipped cream, melted chocolate and peanuts in between a split banana and topped with a pickled sweet cherry. 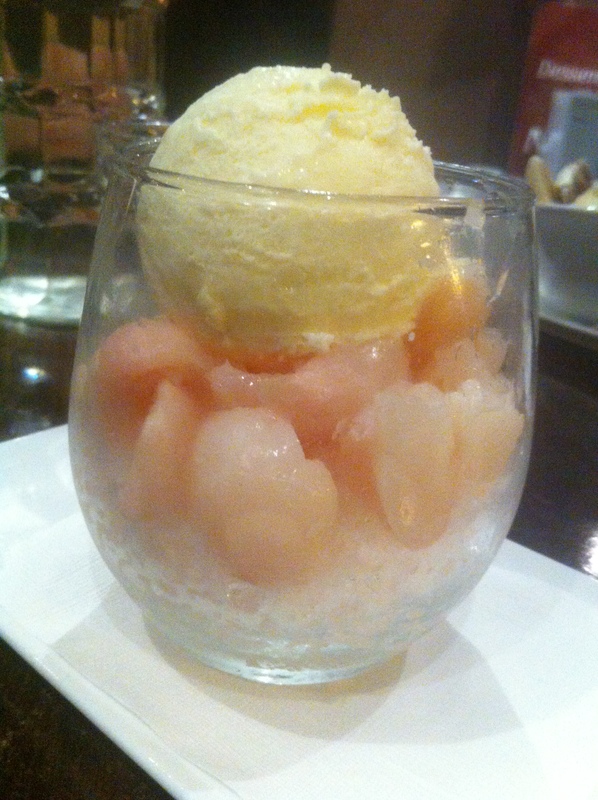 Lychee Granita ($9.90) – lychee fruit served with lemon granita and a scoop of vanilla ice cream. The creaminess of the vanilla ice-cream, the sweetness of the lychee and the refreshing and tanginess of the granita marry together quite nicely. However, I do not think it is worth paying almost $10 for a scoop of ice-cream most likely bought from Woolworths/Coles, canned lychee and simple flavoured ice crystals. Catch ya on the flippity flip! It seems like you didn’t have a good time there. Where are you based at the moment? Do you have a Facebook page for us to follow you on? hey the flavours always change every Thursday, but most people love salted caramel. you can just take the 112 tram to West Preston via Brunswick st from Collins st in the city. It takes about ten minutes to get there.